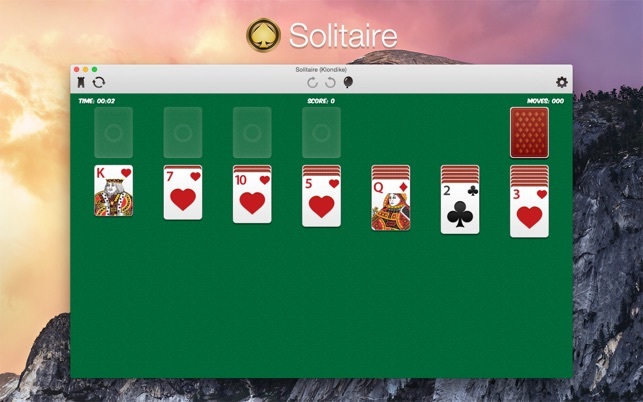 Solitaire (Klondike) is the most popular solitaire card game in the world. 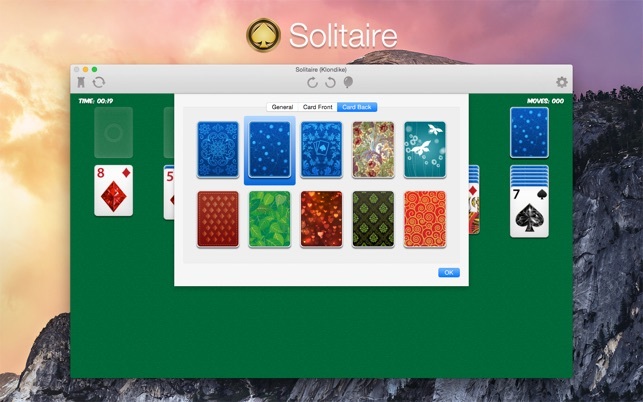 Most people think of Solitaire when they think of a solitaire game. • The goal of Solitaire is to move all cards from the deck and seven tableau stacks to the four foundation stacks. The cards in each foundation stack must be of the same suite and in ascending order, from Ace to King. • Cards can be moved from the deck to a tableau stack, or between tableau stacks. A card moved to a tableau stack must be opposite color and one value lower than the card it is placed on (from King to Ace). Example: A red four may only be placed on a black five. When a tableau stack is empty only a King may be placed on it. 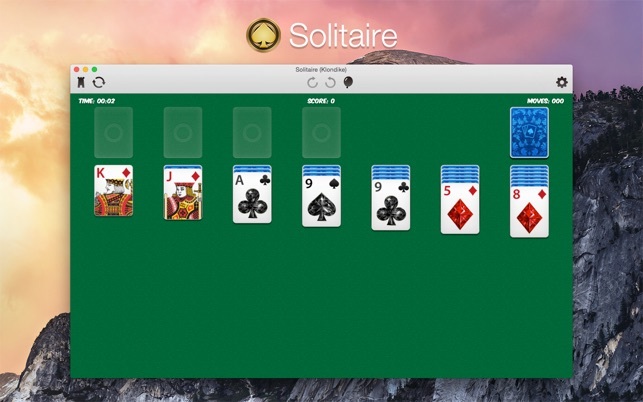 • When the player gets stuck he can click on the deck, this will deal three cards at a time onto the waste, and only the top-most card on the flip pile may be played at any given time. When the end of the deck has been reached the entire deck is flipped over and redealt three at a time. 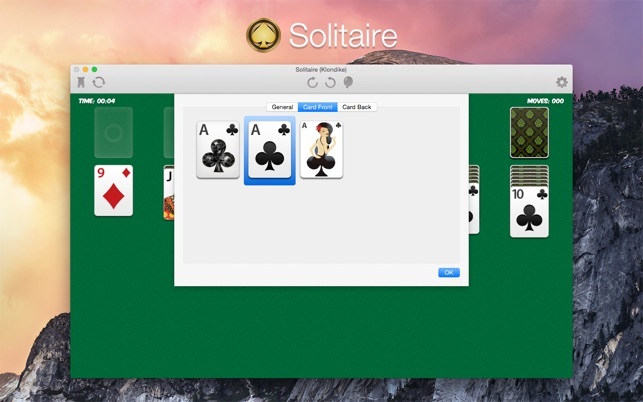 • Play at least one card from the deck as early as you can so you can see different cards the next time through. • The short tableau stacks can make room for Kings quickly, but the stacks on the right have more cards and will take longer to clear.